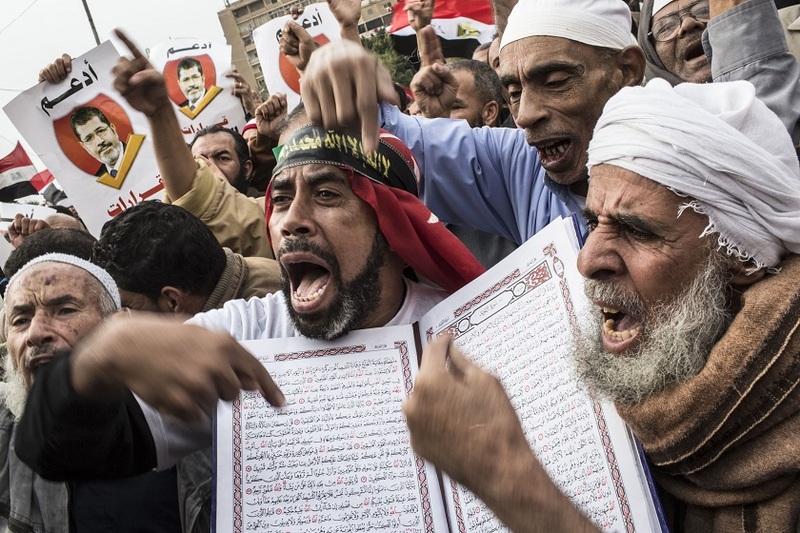 Writing in Carnegie, Nathan Brown and Michelle Dunne say that the Muslim Brotherhood has survived the crackdown and reconstituted itself both inside and outside of Egypt. Though severely weakened, opportunity has emerged for a new, more youthful generation of leadership that has conducted an internal review of policies during the revolutionary period. The substance of the self-critique within the Brotherhood, put forward assertively by younger members, is simply this: the leadership failed to recognize that 2011 was a real revolution in Egyptian society and to act accordingly. Another added, “It was a problem to move toward elections so quickly, as many parts of the revolution were not represented in the political process.” Youth leaders spoke with regret of compatriots from other parts of the ideological spectrum who were left in the dust as the Brotherhood rushed to reap the reward of elections, only to come up against the immoveable object of the Egyptian state. Brotherhood leaders look back at their decision, when Morsi faced increasing, vociferous secular challenges, to tack right and ally with Salafists against secular forces in the parliament elected in early 2012 as a disaster; “This was not what the revolution wanted,” said one. The more revolutionary path would have taken on serious restructuring of powerful institutions—for example, reforming the security sector and civilian bureaucracy—but the Brotherhood opted to placate them. The Carnegie article is long but worth reading — a walk-through of the last few years. At times it seems overly charitable to the Brotherhood, downplaying Beltagi’s comment about terrorist violence in Sinai, and treating as somewhat marginal the violent rhetoric on Turkey-based satellite channels connected to or sympathetic with the Brotherhood. As one of the oldest and most influential Islamist groups in the world, the Muslim Brotherhood bears close watching as it, and Egypt, hurtle toward an uncertain future whose shock waves will be felt throughout the Middle East, Africa, and the Islamic world. That is, unless, things stay calm. The shock waves then might be in the world of Islamism, but the authors seem to assume there are greater surprises to come. Update: It is obvious the authors have spoken with many sources in the Brotherhood, and the reputation of the authors gives credibility that, though not mentioned by name or position, these sources are indicative of the group’s main streams. But is it really true the Brotherhood now sees it as a mistake to have allied with the Salafis at the expense of original liberal revolutionary leaders? If they see the revolution as non-Islamic and nonideological, why do so many of their voices clamor for jihad and paint retribution in Islamic terms? Why did they bring in Wagdy Ghoneim, of all people, to support their Egypt Call project? Brown and Dunne are established scholars. Brown in particular has tracked the Brotherhood incendiary discourse. Why do they believe these voices over the others? The Brotherhood needs allies. Whatever self-critique it is engaging in, I suspect it is substantial. But I do not imagine they call a mistake their use of targeted language to targeted audiences. It continues all the same.